I’m 26, a curly hair consultant (there, I said it!) with a day job in Social Media Marketing at EazyDiner. I stay in Delhi, India’s capital city, although while growing up I traveled throughout India since my father was a doctor in the Navy. I’m half Malayali (mum’s side & where I get my curly hair from) and half Punjabi (dad’s side). I’m extremely curious & multi passionate- I truly believe there is nothing amazing as learning something new. One day, I gave in. Just before school finished, I ended up getting a ‘smoothening treatment’. After a few months of happiness, my damaged & rough hair came back full force and I lost a TON of hair. I can’t tell you how much of this affected my self esteem. Then one day in college, I stumbled upon the world of curly hair care & never looked back. Sounds familiar? Chances are that if you are here, you had a similar experience growing up. 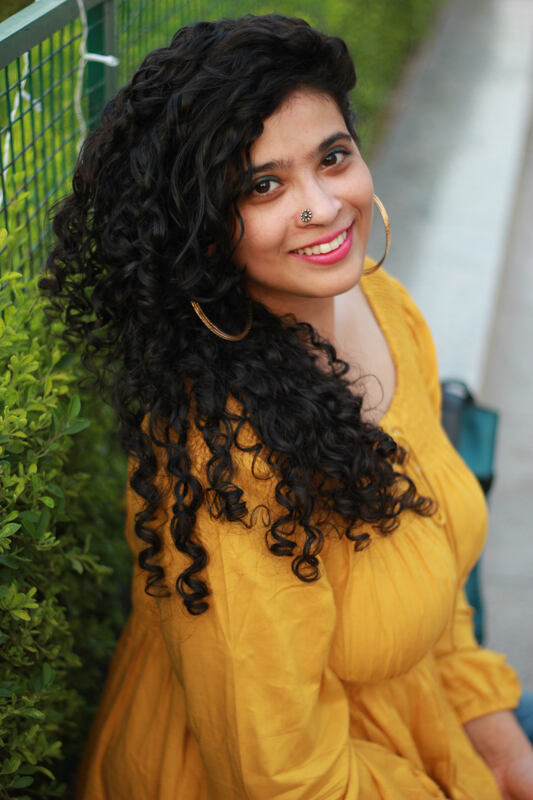 Through my posts on Curly Hair Care here & Youtube Channel, I want to reach out to wavy & curly girls, especially in India & give them information I would have LOVED to have myself while growing up about taking care of their beautiful, natural hair. 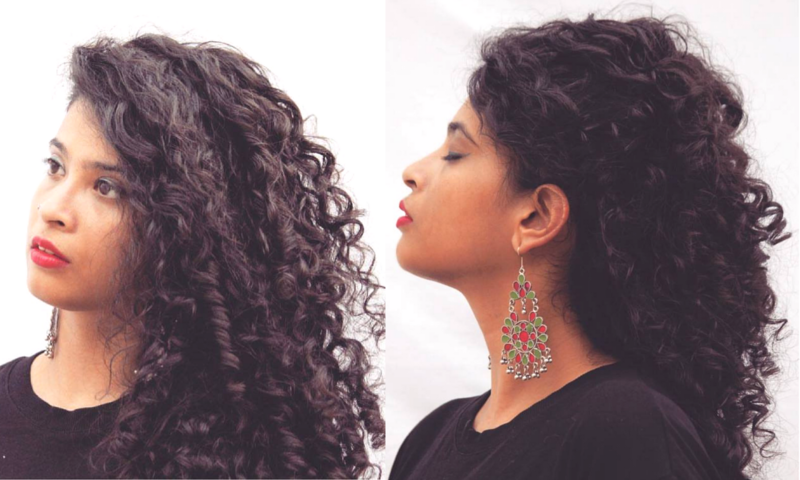 This blog is primarily to write for the natural hair community in India but is not limited to it. There are posts coming on skin care ( I admit, I’m becoming increasingly interested in ingredient analysis of skincare products so watch out for that! ), books (I am a voracious reader) and other miscellaneous topics. I am currently working on a recipe blog called Elaichi Tales with my mum to publish family recipes, a site with tips on blogging & social media (everything I’ve learnt in my blogging journey and working in digital marketing) and a space to house my experiments with photography. That’s enough about me, what about you? If there is anything I can help you with, don’t hesitate to drop me an email, a private message or simply comment on any blog post. I will do my best to reply back as fast as I can.